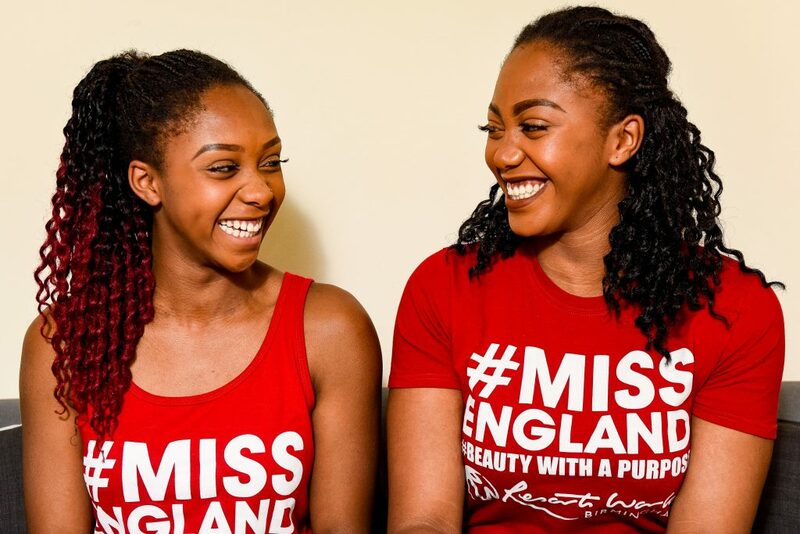 These beauty queen sisters are going head to head to win the coveted Miss England crown. 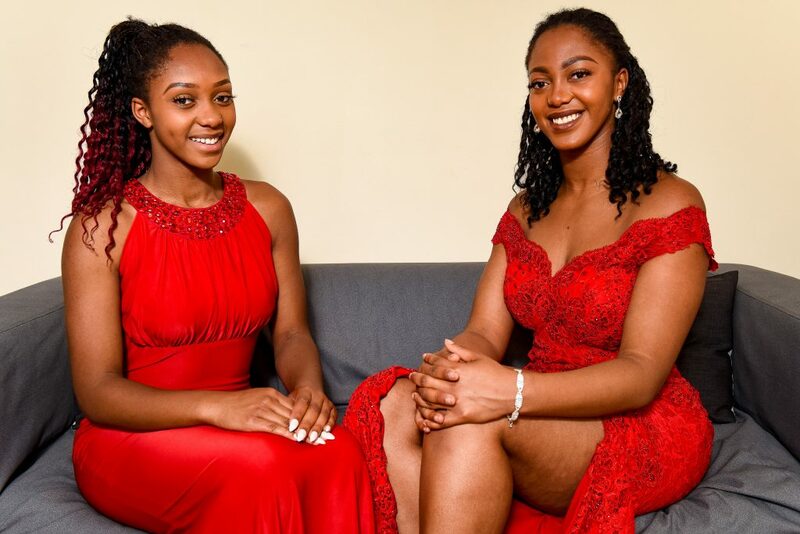 Stunning sisters Sapphire Carter, 20, and Tia Carter, 16, will be bringing sibling rivalry to the catwalk after they both qualified for the Miss England semi-finals, which take place next month. 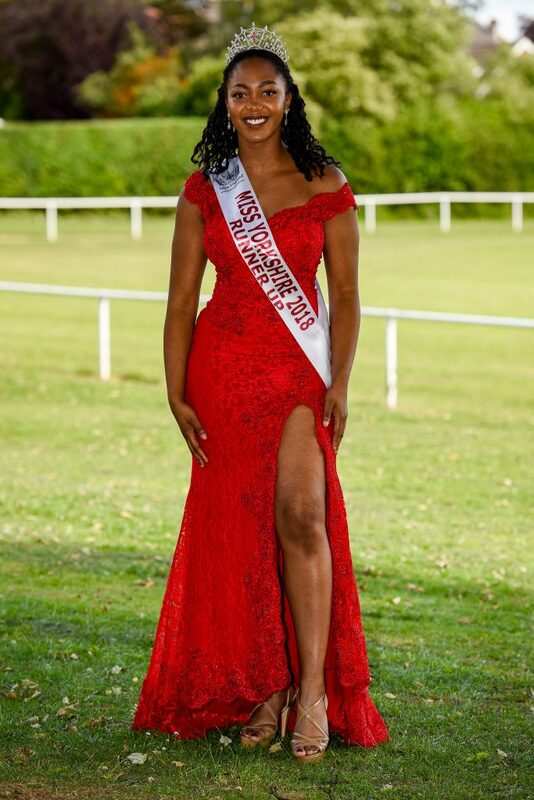 Miss Yorkshire 2018 runner up Sapphire started competing in pageants in 2016 in the Miss Leicestershire pageants, winning the crown in 2017. Seeing her big sister strut her stuff inspired Tia to do her first pageant this year, placing as Miss Leicestershire first runner up – and Sapphire was on stage to award Tia her sash. Now the glamorous siblings, who are always in the crowd cheering each other on, will be in direct opposition for the first time. While they agree that a bit of competition is healthy, musical theatre student Sapphire and Tia, who has just finished her GCSEs, say their support for each other will be as strong as ever. Sapphire, who lives in Leeds, West Yorks, said: “Winning Miss England would be incredible. It is an amazing global platform. “I feel like the organisation promote so much inclusivity whether it’s race, ethnicity, or size. A lot of people don’t realise that so I would like to win and get that message out there. “I would love to be the next black Miss England because a lot of black girls don’t feel like they can do pageants because they don’t have a role model who looks like them. I would love to be that person. “While it would be disappointing to lose, I would be so excited for Tia if she won. I would be so proud of her for accomplishing something so huge at such a young age. “I am already so proud of what she has achieved. When she was named first runner up in Miss Leicestershire, I was handing over my crown so I got to present her with her sash. It was amazing. “Just to have the Miss England crown in the family would be so exciting. “This is the first time we’ve ever comnpeted against each other and it has really motivated us both. I think a bit of sibling rivalry is healthy. It’s going to be a fun day. Tia, who plans to do a BTEC in sports and sport science in Loughborough next year, said she will be proud of Sapphire ‘no matter what’. The teen, who lives in Leicester with the girls’ mum Thelma Carter, said: “It would be amazing to win Miss England, I would be really happy. “Since I first started doing charity work with my friends at school, I have wanted to start my own charity to help people with depression. I had it myself and I have mentored teens with it. “Being able to help people in the community and worldwide would be a dream come true and winning Miss England would give me that opportunity. “But I would be just as happy if Sapphire won. I have seen how hard she has worked for it and she really deserves it. “Even if neither of us win, I will be so proud of her. We’ve always been close and we’ve always supported each other. “We’re always in the crowd cheering each other on. When she won Miss Yorkshire runner up, I was there in the crowd screaming, I was so excited. After discovering pageants at the age of nine when her older sister Sherilyn Carter’s school friend took part in one, Sapphire was instantly enamoured by the glitz and glamour. 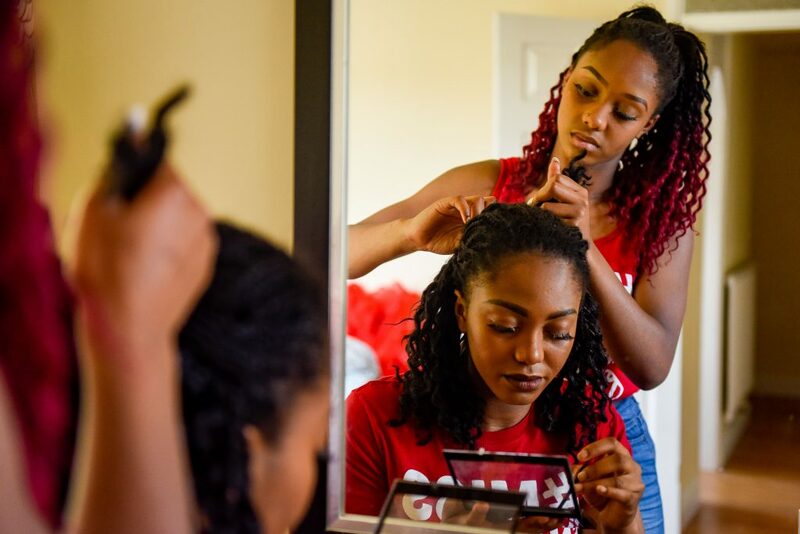 Helping out Sapphire with her fundraising and seeing first-hand how much change beauty queens could bring about then inspired Tia to join the pageant community this year. Both keen dancers, the sisters have found that competing in pageants has boosted their self-esteem and confidence when performing on stage. The gorgeous girls, who lost their dad Steve Hanley to a blood clot in 2006 when he was just 31, said their ‘strong’ mum Thelma, a 51-year-old university library building assistant, has been their biggest inspiration. Tia said: “Our dad went in for a skin graft and he suffered a blood clot. I think because we were so young it made us grow up quite quickly. “It made us stronger as a family and it brought us closer to our mum, she is a very strong woman. She is so headstrong and when she says she’s going to do something, she does it. “She has been so supportive with the pageants. She’s always trying to come up with ideas to help us out. “She is so proud of us both. When we both got through to the Miss England semi-finals she was like ‘what are you girls doing to me both going through?’. It’s all coming at her quite fast. The Miss England semi-finals will take place on July 4 and the winners will go onto the finals, which start on July 27. Sapphire said she would encourage anyone who has ever dreamed of taking part in pageants to put their fears aside and ‘go for it’. The aspiring professional dancer said: “When I first found out about pageants, I just fell in love with all the glamour and the dresses. “It’s not until you get into them that you realise it’s really hard work and it is so rewarding. 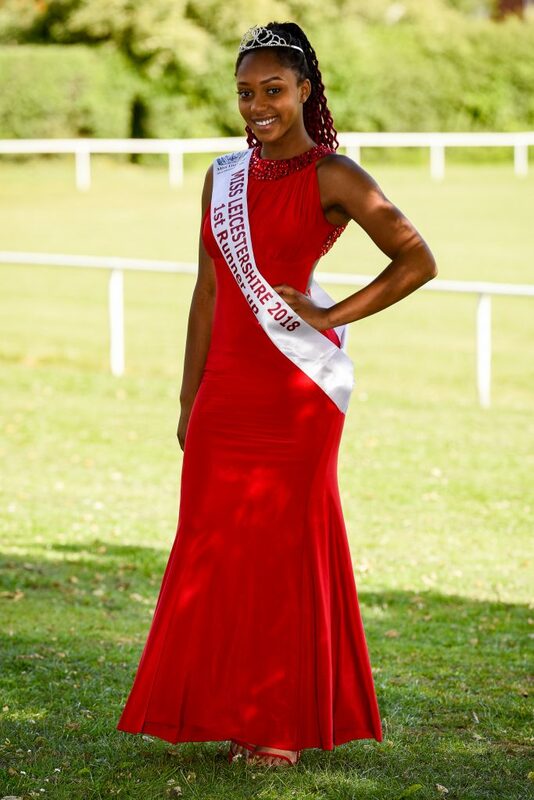 “Pageants have really boosted my confidence, especially with being on stage. It’s helped me so much with performing outside of pageants as well. “There’s also a really great community around them and Tia and I have both made so many good friends. “I would tell anyone thinking about doing a pageant to forget all their worries and just go for it. They are such an amazing and positive experience.